Super Savings Item! Save 37% on the Mary McFadden: A Lifetime of Design, Collecting, and Adventure by Rizzoli at Translate This Website. Hurry! Limited time offer. Offer valid only while supplies last. Mary McFadden helped define the look of the 1970s with original clothing designs created from textiles picked up on her travels around the globe. Mary McFadden helped define the look of the 1970s with original clothing designs created from textiles picked up on her travels around the globe. With tunics of hand-painted fabrics layered over floating silk pants and pleated Fortuny-like gowns with elaborate embroidery, McFadden created a sensation in the fashion world. 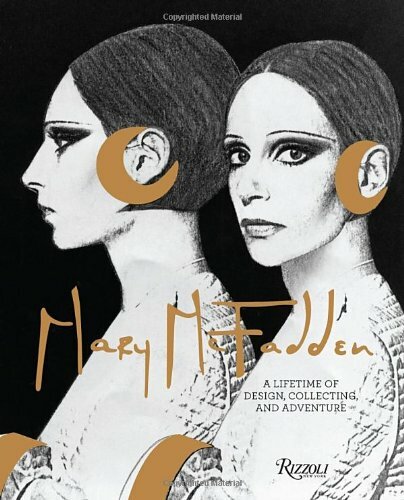 This volume explores McFadden’s thirty-year career, from her debut in Vogue in 1972, launching her as a designer, to her subsequent status as a multimillion-dollar brand, famous for looks inspired by historical cultures as well as by her extensive art collection. McFadden was her own best model and was frequently photographed by legends such as Horst P. Horst, Richard Avedon, Sam Haskins, and Norman Parkinson, among others. Her passion and vision translated into wearable works of art that were as collectible as the antiquities that inspired them. This book features both her stunning portraits and singular designs, as well as the places and objects that inspired her. Unparalleled in her dual identities of fashion visionary and erudite art collector, this volume celebrates McFadden’s inspiration and breadth as an incredibly influential tastemaker.